Marantz NR1508 vs Denon AVRS930H: Which Home Theater is Preferable? Selecting an average-priced AV receiver, compare the top-quality devices from D M Group. Is Denon AVRS930H vs Marantz NR1508 more powerful, feature-rich and high-performance? Which device produces better sound? First of all, Denon AVRS930H is a 7.2-channel device. It enables great opportunities for multiple features and up-to-date formats, including Dolby Atmos and DTS:X. It comes with Audyssey calibration that is designed for adjusting settings and customizing the sound, according to the personal users’ preferences. 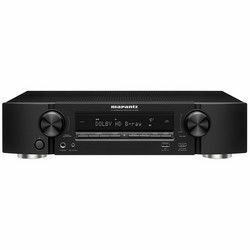 Its Marantz competitor has only 5.2 channels, being just an average, midlevel A/V receiver. Meanwhile, both devices are based on the same HEOS multi-room technology that is still not the most advanced and easy to use in the industry. They are equipped with Wi-Fi and Bluetooth options, being compatible with Alexa voice assistant. 6 HDMI inputs are among the most significant benefits of the Marantz NR1508 home theater. It focuses on Dolby Vision support, with complete HDR connectivity. 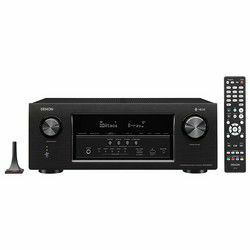 Denon AVRS930H that is the most advanced S-series receiver, has 8 HDMI inputs and 2 analog audio inputs. However, both devices have no phono input, so a preamp is required to connect a turntable. Meanwhile, the Marantz amp is more simple, easier to use and set up versus its Denon counterpart that comes with too long (275 pages) manual. Some firmware issues happen. Denon AVRS930H vs Marantz NR1508 is definitely more powerful and versatile. It produces impressive, 3D sound, standing out by natural midrange and impressive bass response. Its counterpart’s sound is quite loud, sufficient for soundtrack reproduction, but the Marantz home theater is recommended for small rooms only. Denon AVRS930H receiver is a 7.2-channel device that is powerful, feature-rich and advanced. It has 8 HDMI inputs, an advanced auto calibration system, enabling the sound customizing and the settings adjustments. Therefore, it sounds great, being notable for deep bass and natural midrange. Marantz NR1508 has only 5.2 channels, and therefore, fewer features, supporting only the basic formats. However, it is simple and easier to set up. The home theater is slim and compact, suitable for small rooms only. It comes with 5.2 channels, a lot of HDMI ports, HEOS multi-room technology. Meanwhile, the AV receiver has the beneficial Wi-Fi and Bluetooth options, working with Alexa. Additionally, it is easy to set up and use. The 7.2-channel receiver is advanced and powerful. It has 8 HDMI input, supporting multiple innovative formats, coming with a lot of beneficial features. It enables auto calibration, being equipped with Bluetooth and Wi-Fi features, compatible with Alexa assistant, producing impressive sound. Commonly, it’s a bit more expensive than its Marantz counterpart, so, when a significant discount is offered, I guess it’s worth purchasing.